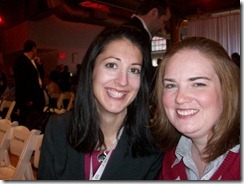 Last month was Microsoft’s launch of a new product called Lync 2010, and I had the honor of being invited to the official product launch in New York City. This was an amazing experience, and there were many interesting people to meet. What is Lync? It is the newest version of Microsoft’s Office Communications Server, which is a server that lets you do corporate-wide instant messaging and much more. For those of you who have a product called “Office Communicator” on your computer, that you use to chat with your colleagues, that means that your company has a “Live Communications Server” (2003-2006) or an “Office Communications Server” (2007-2009). When your company upgrades to the latest version of this communicator, they will be upgrading to Lync 2010. Here is a great Wikipedia definition, with some great technical information about protocols and such, and a history of the product. There are some very useful new features in Lync, such as Kinect integration with video, interactive white boarding, and integration with mobile devices. The experience with mobile devices and phone systems is much more of a rich and highly integrated system now. For more information about the product, there are a plethora of blogs out there, and you can always follow #Lync on Twitter. So, what was the launch event all about? My co-worker Jennifer Mason and I were both invited, so we met up as soon as we got to the city, and had lunch with our good friend Dux, who was also invited to the event. That evening was the event’s reception, where we enjoyed great music and food, and had a great chat with Kirk Koenigsbauer about Lync and all of the excitement around it. The next morning was the welcome breakfast and Lync launch. Here is a picture of the media lounge where we hung out before the event, and there are Jennifer and Dux at the other end of the room. Then, there are Jennifer and I getting ready for the event to start. Here is Chris Capossela doing the keynote, and the (virtual) guest speaker was Bill Gates!! The launch consisted of a very informative keynote, and several very elaborate demos of the product. One demonstration showed how a group of people around a conference table can have a virtual meeting with another remote party, and all of them can share a white-boarding session. The COOL demo was of the new Kinect (for Xbox 360) being integrated with Lync! So, basically you’re sitting in your living room and the Kinect has a web cam built in and it lets you attend a Lync virtual meeting from there! Oh, and then we got to go on stage and try out all of the demos ourselves, like the Kinect. In summary, this was a great experience! Thanks so much to Microsoft for inviting me, it was an honor. Juned, Looks like Microsoft has a product called PinPoint that has Lync integration on SharePoint pages: http://pinpoint.microsoft.com/en-us/applications/smartchat-for-microsoft-lync-2010-ocs-sharepoint-2010-4295018407 As for CRM, I don’t know the answer although I’ve heard that there’s integration.